The Galar region is easily the largest game world we’ve ever seen in a Pokemon game. Lush, green hills, snowy peaks, sparkling mines, and bustling cities… It’s all here, and we can’t to start exploring. We can’t help but wonder if Galar was inspired by the traditional urban and rural landscapes of the United Kingdom. The house and city designs give off an industrial-London vibe, and we’re here for it. Now for your starter Pokemon. Pokemon Sword and Shield will be sticking with the primary fire, water, and grass archetypes. Scorbunny is a fire-type rabbit that could very well become the mascot for both games. Sobble is a water-type Pokemon with an adorable, perennial frown. Grookey is a trouble-making grass-type monkey. 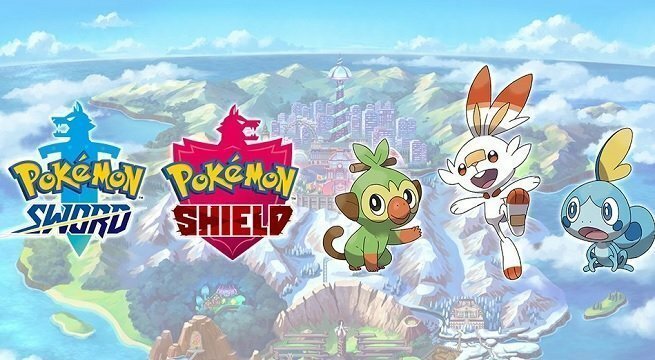 I’ll be starting my Pokemon Shield adventure with Grookey. How about you? Let us know which version you plan on buying, and which starter Pokemon you’ll choose in the comments below. We’d also love to know what you think about the Galar region, so sound off!